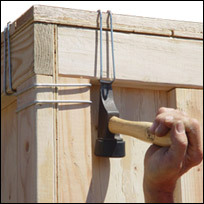 Klimp® fasteners are used to fasten the wood panels of a knock-down container together. They are an alternative to using nails or wood staples for container construction. 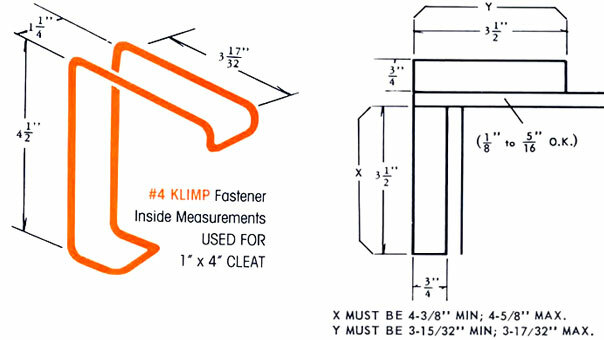 When Klimp® fasteners are used the wood container can be reused and provide quick and easy assembly and disassembly. They also allow for the container to be shipped knocked-down significantly reducing shipping cost. 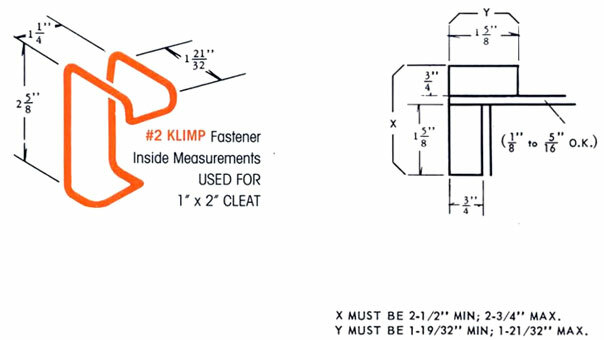 Klimp® fasteners are manufactured using a special tensile and chemical composition of galvanized spring wire. 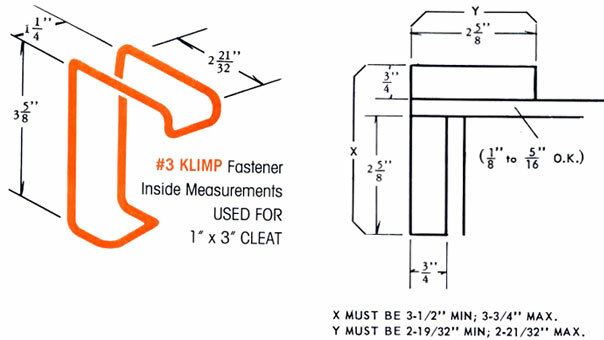 Three size options are available for accommodating standard lumber 1”x2”, 1”x3” and 1”x4” cleats.